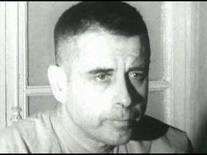 Forty years ago today, Navy Admiral Jeremiah Denton was freed from captivity as a POW by the North Vietnamese in Hanoi. In May 2007, Admiral Denton agreed to serve as Chairman of the Thomas More Law Center’s Citizens Advisory Board. 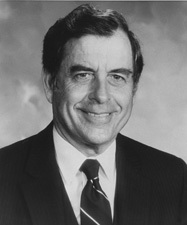 Admiral Jeremiah Denton served as United States Naval Aviator during the Vietnam War and was the Commanding Officer of an Attack Squadron aboard the aircraft carrier USS Independence. On 18 July 1965, then-Commander Denton, was leading twenty-eight planes flying an A-6A Intruder, off the Independence on a bombing mission. His jet was shot down over the city of Thanh Hoa in North Vietnam, and he was captured and taken prisoner by the North Vietnamese. Denton was held as a prisoner of war for almost eight years, four of which were spent in solitary confinement. Denton is best known for the 1966 televised press conference that he was forced into as an American POW by his North Vietnamese captors. 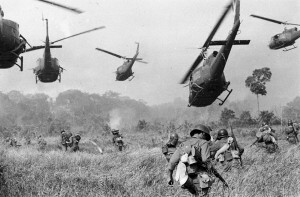 He ingeniously used the opportunity to communicate successfully and to confirm for the first time to the U.S. Military and Americans that American POWs were being tortured in North Vietnam. He repeatedly blinked his eyes in Morse Code during the interview, spelling out the word, “T-O-R-T-U-R-E“. While a prisoner, he was promoted to the rank of Captain. Denton was later awarded the Navy Cross and several other decorations mostly for heroism while a prisoner of war. Click the link below to see the ABC news coverage of Admiral Denton’s return home to the United States. Admiral Denton appears at the 3:03 minute mark. Great article, Mary, but I did not realize Denton was Catholic until I did some additional research on him which was prompted by your article. I suspect his faith played an important role in his survival as a POW.